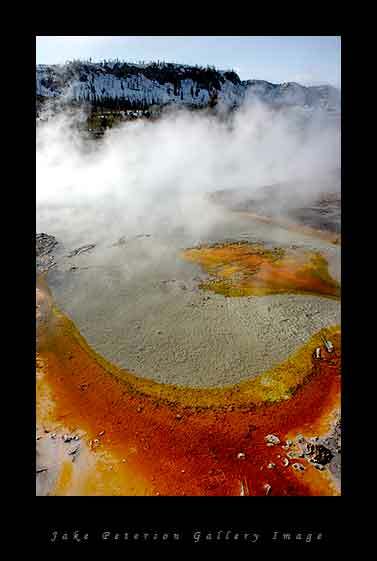 This is Biscuit Basin, an area filled with geothermal vents. A boardwalk goes over the area and takes you pretty close to the vents. Along with the steam and the water comes these great pools of colorful sand and stone. Together it makes a very cool image.